According to World Health Statistics 2018 by the World Health Organization, Singapore has one of the best life expectancy rates in the world, with average life expectancy of 82.9 years. However, Singapore has an average healthy life expectancy of 76.2 years, which refers to the number of years a person can expect to live in “full health” without disease and/or injury. This implies that we can all do more to live healthily longer. 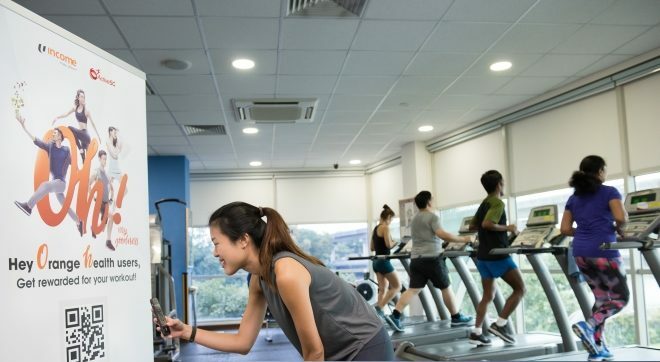 One common reason why we do not do so is that Singaporeans are too caught up in our everyday hustle and bustle to safeguard ourselves against the convenient yet often unhealthy ways of life. Unhealthy lifestyle choices could be harmful in the long run – maybe it is time to pause and consider the health impacts of these everyday decisions. It is often said that diet and exercise are two key aspects in reducing the risks of chronic diseases and obesity. Weight gain, especially, is often attributed to poor eating habits and a sedentary lifestyle. However, poor sleeping habits are another key aspect to note with regards to weight gain. The interconnectedness of these aspects shows that it is crucial for us to add sleep into the equation and take a holistic approach to health. A research conducted by SingHealth Polyclinics last year showed that four in 10 Singaporeans do not get sufficient sleep. 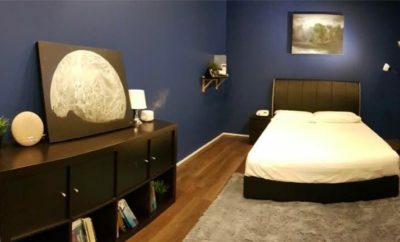 Factors affecting sleep includes using the computer or laptop to surf the web or play games in their bedrooms. Insufficient sleep refers to sleep time of less than seven hours a night. It does not merely affect our appearance in the form of unsightly eye bags and dark circles, but can affect the body’s immune system, memory, concentration and daily functioning in the long run. Over time, we may become more susceptible to illnesses and may not be able to carry out tasks as efficiently. A SingHealth poll in 2016 found that four in 10 people (44%) lack sleep on weekdays, clocking less than seven hours of rest a night. The rate of 44 per cent is higher than that in other countries where studies found that between 35 and 37 per cent slept less than seven hours daily. Research has also shown that sleep deprivation affects the regulation of hunger in our body, increasing our cravings for junk food such as cookies, candies, and potato chips5. Unhealthy eating habits, if sustained, will cause weight gain and increase our risks of common chronic diseases. Some of us may have gotten used to having little sleep, but it does not mean we are immune from the detrimental effects of sleep deprivation. While going about our daily lives and careers, are we losing touch with maintaining a healthy lifestyle? Sleep and wake up at the same time, even on weekends. Sleeping in during the weekends to recharge ourselves for the upcoming work week sounds good – but do you know that it could backfire in various ways? We might feel better psychologically but doing that will throw our body clock off track and cause jetlag-like symptoms. If we had spent our Friday or Saturday nights staying up late, opting for power naps in the afternoon to make up for lost sleep might be a better option. Avoid caffeine at least four hours before bedtime. Some love coffee for the taste, but others love the beverage because it keeps them awake. Caffeine is a stimulant found in coffees, teas, soft drinks and chocolates which could interfere with sleep. Avoid these foods at least four hours before bedtime to avoid tossing and turning during bedtime. Keep electronic devices out of sight. It might be challenging but using smartphones or computers at bedtime may cause excitement, stress or anxiety which can cause difficulty falling asleep. If there are streetlights near your window, it may be helpful to put up light-blocking curtains. Recognising sleep as an important component to one’s overall health and well-being is the first step towards healthy living. Besides enforcing discipline to maintain healthy lives, we can also turn to technology to aid us. 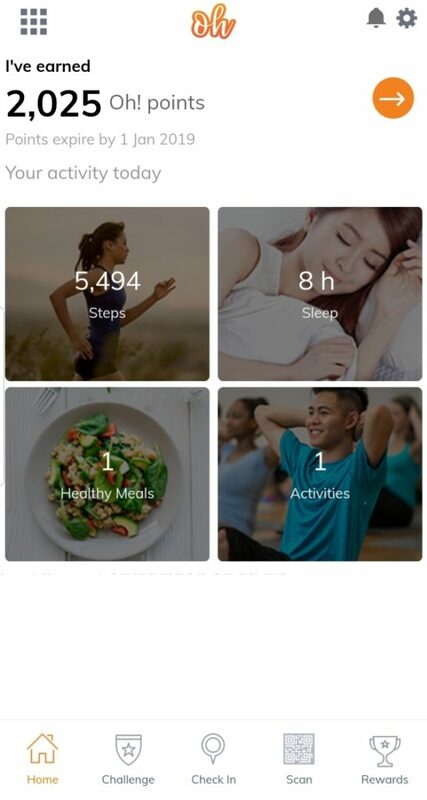 Orange Health – a health programme designed by NTUC Income (“Income”) allows users to track their health more holistically, by recording their lifestyle in four areas: sleep, steps, diet, and workout. Orange Health is housed in the Income Insurance app and caters to IncomeShield policyholders. Income advocates a holistic approach to health and believes that those who make an effort to be healthy deserve to be rewarded. As such, users of Orange Health can look forward to redeeming rewards such as Grab promo codes and CapitaVouchers, using Oh! points when they live an active and healthy lifestyle. To foster healthier food preferences and physical activities, Orange Health ensures that it is easy and convenient for users to make healthier choices through its dining and fitness partners island-wide, while motivating them to continue to do so with rewards. In addition, Orange Health encourages users to check-in at public parks when they embark on outdoor activities such as cycling, brisk walking and jogging to keep fit, to earn Oh! points. Orange Health users can also earn Oh! points by clocking the recommended amount of seven hours of sleep each day. It is important to take charge of our own health and make the effort to stay healthy by having sufficient rest, watching our diet, and exercising regularly. Let’s start today and be a step closer to establishing good lifelong habits. This article was contributed by NTUC Income.